Today, in anticipation of their eagerly awaited album Love You to Death (available June 3 on Warner Bros. Records), Tegan and Sara have premiered the video for brand-new track "100x" via Noisey. The visual was created in partnership with renowned dog groomer Jess Rona and features Rona's celebrated canine clients. "I met Jess Rona at a Mafia party in LA and we hit it off immediately," Sara Quin reveals. "An actor, musician and dog groomer, 'JessRonaGrooming' became my favorite Instagram account. I constantly direct people to her beautiful, heartbreaking mini-music videos of her furry clients, because they're an endless delight. It was a true honor to have her do a long form version for our song 100x." "100x" is the third visual from Love You to Death, following the videos for the song "U-turn" and critically-acclaimed single "Boyfriend." Both songs were released on April 8 to rave reviews, and have been featured as best new tracks by Pitchfork, Entertainment Weekly, Vulture, USA Today, and FADER, among others. USA Today exclaimed, "Tegan and Sara have been making perfect pop songs for as long as they've been around, and their latest is no exception." 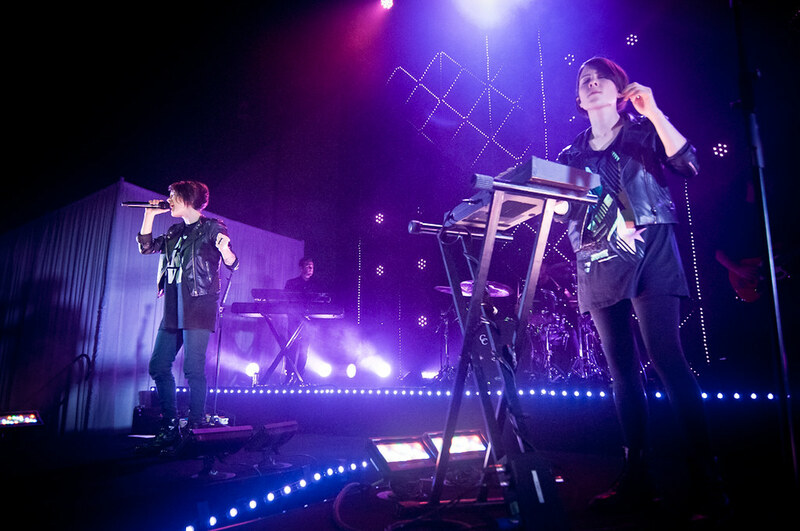 Tegan and Sara gave Los Angeles fans a special preview of their new music earlier this week, debuting tracks "100x" and "Stop Desire" at The Roxy and Teragram Ballroom. They will be prforming on The Tonight Show Starring Jimmy Fallon on May 10. These performances precede Tegan and Sara's international tour dates and their recently announced 41-date North American headlining tour (see below for full list of dates). Tickets are available now via http://teganandsara.com/shows/.